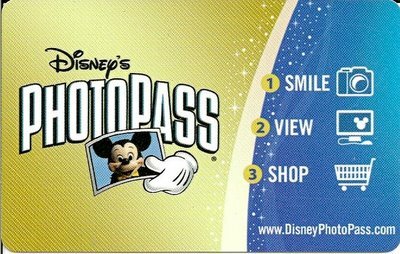 Disney Photopass -- Is it worth it? 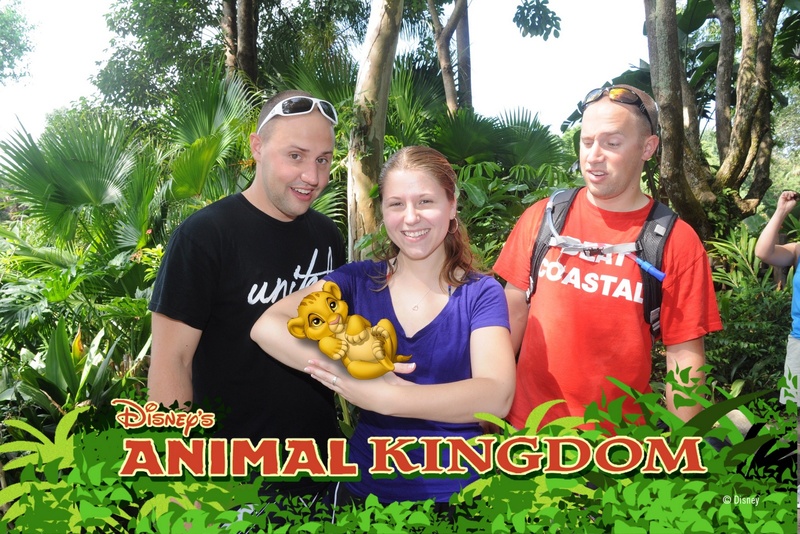 Disney Photopass — Is it worth it? During our last trip to Disney World, one thing my sister-in-law and I decided was that we were going to pre-order the Disney Photopass CD and load up on pictures taken by the Photopass photographers at the parks! Disney does a great job of having Disney Photopass photographers at all of the popular photo locations. Some of the prime locations, of course, include in front of all of the main “iconic” features at every park, along with some of the top ride locations. However, you can also find them in some great out-of-the-way locations, such as this shot we had over at Disney’s Animal Kingdom. 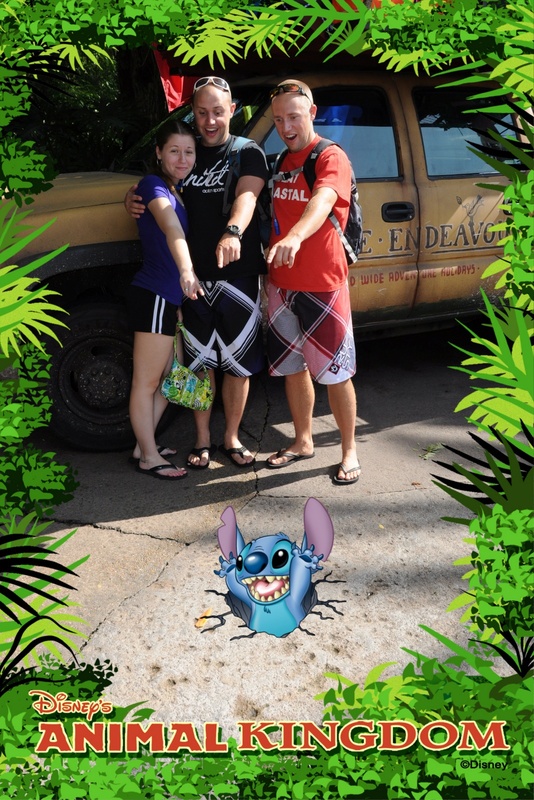 The borders in those pictures above are a neat thing that you can do with Disney Photopass pictures. There are a ton of great borders and other items to add to the photos, and Disney does a great job in showing you specific borders based on the setting. Go to the Disney Photopass website and create an account if you don’t already have one. Disney has a special link for pre-ordering the CD, which will save you a good bit of money! They also offer the Ultimate Memory Book, which is something you should look at if you are interested in going all out — but beware, it is pricey! The key is that your Photopass CD will only include the pictures that you take after you purchase the credit, that is why you should purchase it before you go. The nice thing is that you can have as many of the Photopass cards as you need. If you have a large group, it can be a good idea (especially if you split up) to give each person a card to carry with them. After you get home, add the cards to the account that has the Photopass CD credit on it, and at that point, you can start adding borders to the photos you like. You can add multiple borders per picture, and they are each saved as a new version, so you get multiple copies of the same picture, each with it’s own border, and the original that is untouched. Keep in mind though that the pictures expire in 30 days unless you purchase extra time, so don’t delay! Lastly, the Photopass CD credit is good for as many pictures as you have taken on the cards, so if you have 2,000 pictures, then you’ll get the number of CDs you need to fit all the pictures on there. And you’ll also get some bonus pictures with various characters also! For our family, we ended up with 229 photos on our photopass CD. While we didn’t get as many pictures as we originally thought we would, we did get some truly memorable pictures, especially the ones from Bibbidi Bobbiti Boutique, so I think it was worth the investment. I don’t think the Photopass CD is something that I need to do on every trip, but it is something that I will consider doing when we have special trips that include a large group of people that we don’t normally get to have vacation with very often. Do you ever have any questions for us?